New Distributor Training Tools – Stop Distributor Dropout by 80%! Probably the most important component in your system is the training you give your new distributors is in the first 48 hours. These MLM training tools are the collateral support resources to train your new distributors on how to be a “business” person. 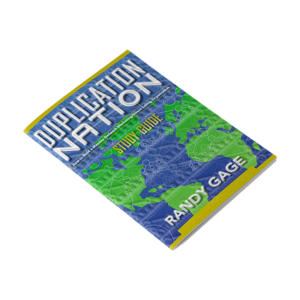 They are the new distributor training tools Randy Gage recommends you use to train your people and stop distributor dropout! Use these tools to turn 80% of what used to be dropouts – into productive distributors! What You Need to Know First CD. You and your new distributors will discover the mindset you need to succeed, who your mentors should be, what a duplicable system is and the only two ways you earn income in this business. 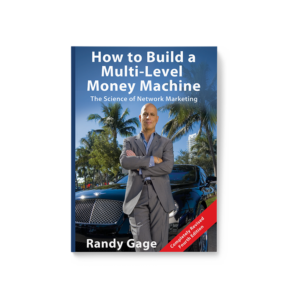 This is the audio you- -and your people–must listen to first, before you start the mlm network marketing business. Getting Started CD. 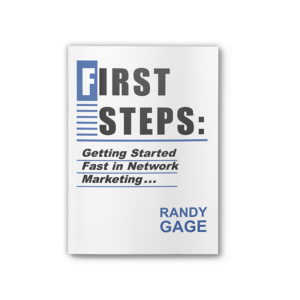 Give this audio to your new mlm distributors to get them started fast. It will take your new distributors through the all-important beginning work — to set a duplicable foundation to build on. Includes making their list, setting realistic goals, becoming product-focused and scheduling. Secrets of a Dynamic Day CD. This inspirational and motivational audio is designed for you — and your people — to listen to daily, during your self-development time. In addition to its uplifting message, there are reminders about goals, appointments and follow-through–to keep you focused–and moving closer to your dreams each day. First Steps booklet. This 28-page booklet goes hand-in-hand with the Getting Started audio to start your new distributors right–following a duplicatable system–so they make money–so you make money. Check Out the Biz DVD. Randy Gage conducting a live generic opportunity meeting that was filmed live before an audience of more than 100 people. It offers an exciting and compelling presentation for your prospects. 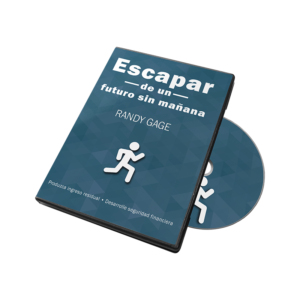 Use it to speed up your sponsoring and duplication rates. 70 minute DVD.